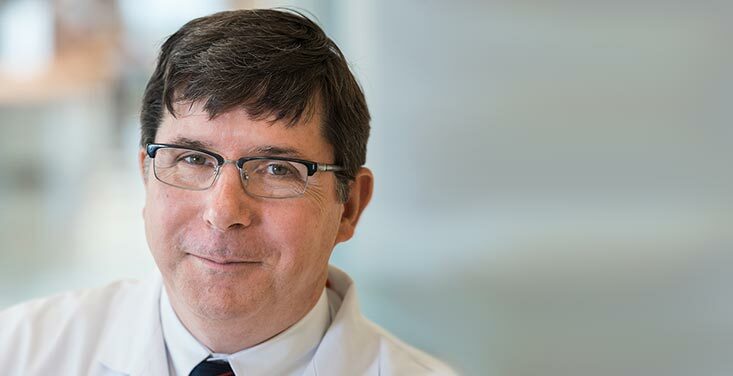 Dr. Brian Eastridge is Chief of the Division of Trauma and Emergency Surgery at UT Health San Antonio and Trauma Medical Director of University Hospital. 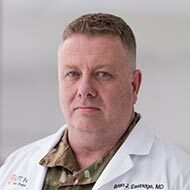 A highly awarded and decorated military surgeon, Dr. Eastridge was deployed three times in support of combat operations as a U.S Army Reserve surgeon, during which he was appointed the first Joint Theater Trauma System Director. 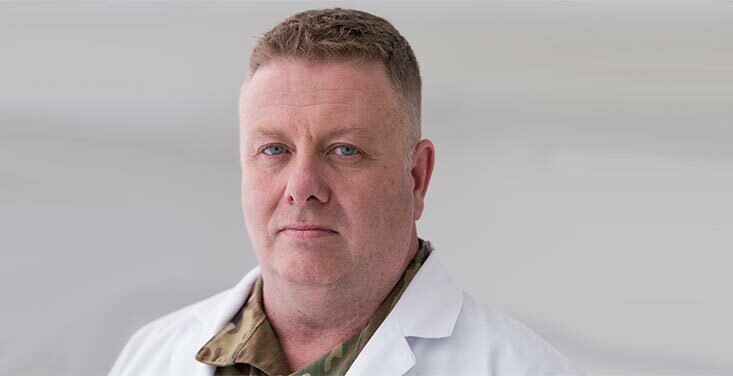 In 2005, he matriculated to active duty U.S Army and served as Trauma Medical Director for the Brooke Army Medical Center, Director of the Joint Trauma System, and Trauma Consultant to the U.S. Army Surgeon General. During his active duty service, he was deployed two more times to combat in Southwest Asia during which time he led the development and implementation of the military trauma system. 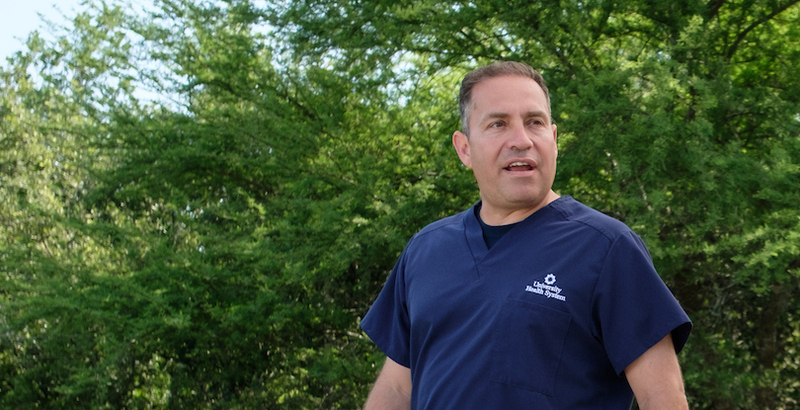 Throughout his career, Dr. Eastridge has published extensively in the peer-reviewed literature and edited three books focused upon improving the military trauma system and improving combat casualty care outcomes for our Wounded Warriors. He actively researches trauma system development and holds the Jocelyn and Joe Straus Endowed Chair in Trauma Research. 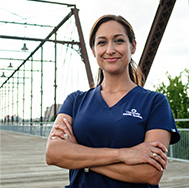 Dr. Stewart graduated from medical school & surgical residency at UT Health San Antonio, followed by a Trauma & Surgical Critical Care Fellowship at the University of Tennessee in Memphis. He led the University Health System trauma program until 2008. 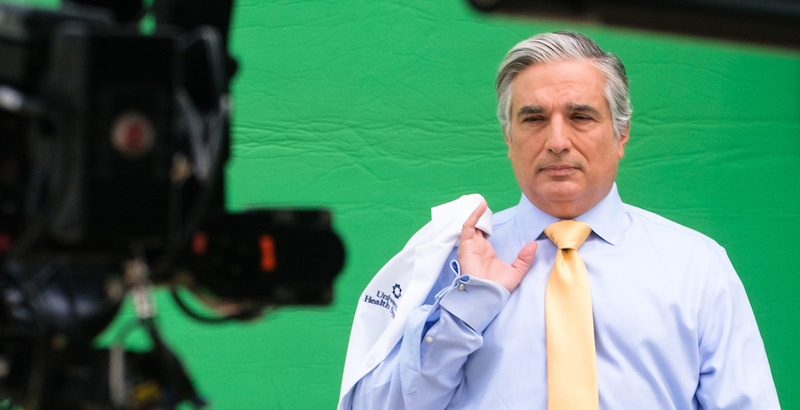 He serves as Chair of the Department of Surgery at UT Health San Antonio. Since 1993, he has worked to develop an integrated civilian-military trauma system. 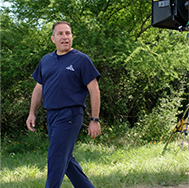 Dr. Stewart was the first Chair of the National Trauma Institute. 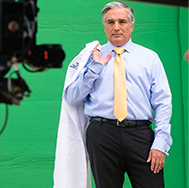 He currently is the Chair of the American College of Surgeons Committee on Trauma (ACS COT), and was the 2013 recipient of the National Safety Council’s Surgeon Award for Service to Safety. In his tenure as the ACS COT Chair, the COT has spearheaded a plan to implement a National Trauma Action Plan aimed at dramatically improving care of injured patients. 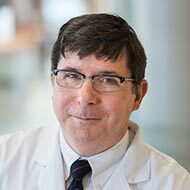 He and the entire COT have worked on an approach to firearm injury prevention that encourages a collegial, professional and substantive dialogue centered on reducing firearm injuries and deaths, and have spearheaded Stop the Bleed training (bleedingcontrol.org) in communities across the globe. Dr. Linda Leary is an associate professor in the departments of neurology and pediatrics at UT Health San Antonio. 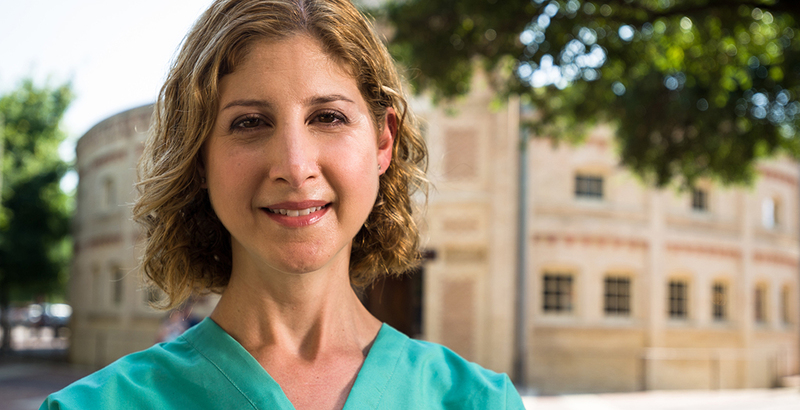 A board-certified clinical neurophysiologist and child neurologist, she is the director of pediatric epilepsy services at University Health System’s South Texas Comprehensive Epilepsy Center (STCEC) – the only one of its kind in Central and South Texas. There, Dr. Leary provides a wide range of individualized medical and surgical epilepsy treatment options to help children and families. 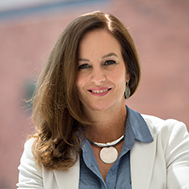 Inspired by the positive outlook so many children have in the face of chronic medical conditions, Dr. Leary knew early on that she wanted to dedicate her career to helping children with epilepsy lead as normal a life as possible. 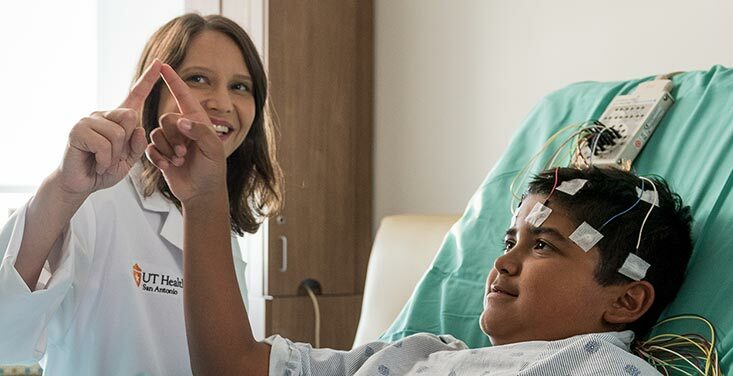 Every day, Dr. Leary works with children who experience all types of seizures, from easy-to-manage to difficult-to-control. Her goal is always the same – to find the right treatment solution for a particular child that will allow freedom from seizures if possible, and the ability to return to the activities that the child loves. 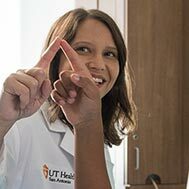 Jennifer Milton currently serves as the executive director and clinical assistant professor at the University Transplant Center, a partnership of UT Health San Antonio and University Health System. She oversees the clinical, strategic, and financial operations of multiple organ failure and transplantation programs and satellite clinics across Texas. 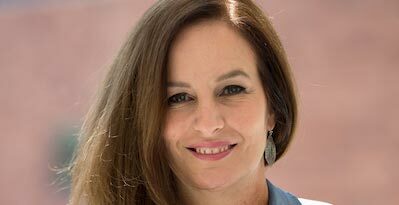 She is a founding faculty member of the Transplant Quality Institute, a collaborator on several journal articles and a well-known national speaker. Jennifer can’t recall a moment when she didn’t want to be a nurse. She was most inspired by her mother, who was a highly respected nurse in her hometown. After graduating from nursing school, Jennifer worked in intensive care, where she took care of a young man whose family chose to donate his organs after his tragic death. That experience was pivotal in her life and led her to pursue a career in transplantation – a path that continues to bring her joy as she visits patients and helps them celebrate the start of their new lives after transplant surgery. 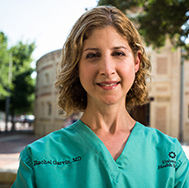 Dr. Rachel Garvin is an assistant professor in the Department of Neurosurgery at UT Health San Antonio. One of only three board-certified neuro-critical care physicians in our city, she is also the program director of two neuro-critical care fellowships. Dr. Garvin is an emergency medicine physician and still works in the Emergency Department regularly when not in the eighth floor Neuro-ICU. 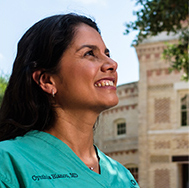 Dr. Cynthia Blanco is a professor in the Department of Pediatrics at UT Health San Antonio. She has worked at University Health System since 2005 as a neonatologist and director of the Neonatal Transport Team. Annette Jurkovac is a registered nurse at University Hospital and is proud to be a nurse in the Medical Intensive Care Unit, a critical care unit that has been awarded the Beacon Award of Excellence. A graduate of UT Health San Antonio School of Nursing class of 2013, Annette is the wife of a firefighter and the mother of two amazing kids. Monica Hernandez is the Patient Care Coordinator on the eighth floor Hematology/Oncology unit and 10th floor Sky Tower. 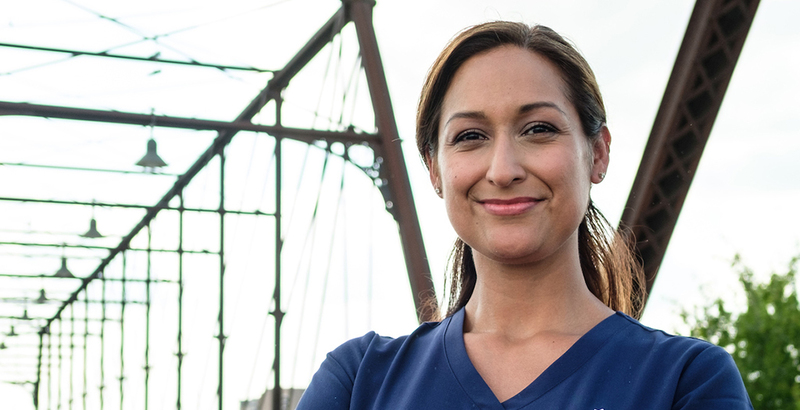 A 15-year employee with University Health System, Monica started in nursing school and has been working her way up the clinical ladder. She was raised on the West Side of San Antonio and was born at the Robert B. Green Memorial Hospital in 1977. The oldest of four siblings, she learned that hard work, dedication and strong faith can lead you to many opportunities — to “think beyond” what is right before you. The proud wife of a law enforcement officer and mother of two amazing daughters, she enjoys building sandcastles with her daughters, running and traveling. 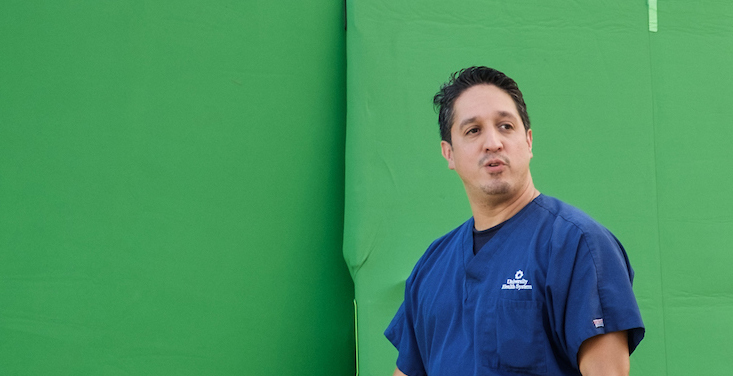 Christopher Esparza is a registered nurse assigned to the Vascular Access Team at University Hospital. He has worked at University Health System for 19 years, beginning as a paramedic before becoming a nurse 16 years ago. He is currently in graduate school to become a nurse practitioner and looks forward to continuing his work with the Health System in that role. He and his wife, Charisma, have been married for 12 years and have three beautiful children. He enjoys running, cycling, photography and culinary arts. 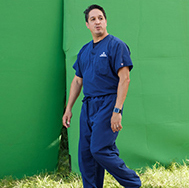 Rene Gonzalez is the Ambulatory Clinical Area Manager at the ExpressMed urgent care clinic at Medical Center Pavilion. Rene has been employed with the Health System for 23 years and a nurse for eight. He spent 15 years working in the Emergency Department and the rest in the ambulatory sector — two years in charge of the Ambulatory Infusion Center and six in management roles. Currently he is in graduate school studying to become a family nurse practitioner. Rene and his wife are active participants in CrossFit, and you can usually find them in a CrossFit gym. Dr. Francisco Cigarroa is a professor in the Department of Surgery at UT Health San Antonio and the surgical director of the pediatric transplant program. He specializes in adult and pediatric liver and kidney transplant surgery and has worked at University Health System for more than 20 years.